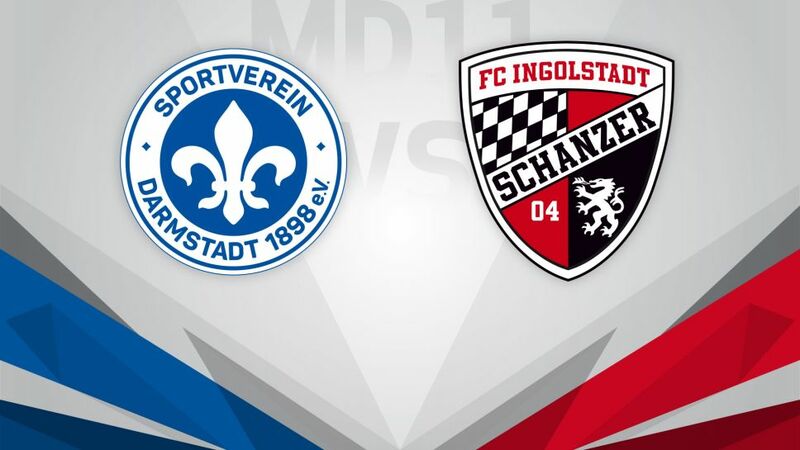 Last season’s promoted sides face off when SV Darmstadt 98 host FC Ingolstadt 04 on Matchday 11, with both sides struggling for points at the bottom (kick-off 15:30CET/14:30GMT). Have you got your Official Fantasy Bundesliga team ready for Matchday 11? If not, click here. Darmstadt’s poor away form continued on the last matchday with a 3-2 loss at Bayer 04 Leverkusen, but the Lilies are at home this time out, where they have won all eight of their points so far this season. Norbert Meier’s side are also on a run of three straight defeats in league and cup, and can ill afford a slip-up at home against a side below them in the table. Ingolstadt, now under the stewardship of new coach Maik Walpurgis, are still yet to win this campaign and in fact are on a run of 15 league games without a victory stretching back to last season. Their 2-0 loss at home to fellow Bavarians FC Augsburg on Matchday 10 saw coach Markus Kauczinski’s short reign come to an end, and it will be no easy task for the new man in the hot seat, with Die Schanzer languishing in 17th place, already five points off the relegation play-off place.